We don't care about what we don't see. Countless people are invisible to us. We overlook the poor and homeless, partly because we don't share much space with them. More seriously, we often choose not to see the realities around us. We hold misconceptions about who is deserving or not, or make false assumptions about people's poverty being their own fault. Terence Lester calls us to see the invisible people around us. His personal encounters and real-life stories challenge Christians to become more informed about poverty and homelessness, and to see the poor as Jesus does. When we see people through God's eyes and hear their stories, we restore their dignity and help them flourish. And when we recognize our own inner spiritual poverty, we have greater empathy for others, no matter their circumstances. Let love open your eyes. Discover how seeing leads us to act with compassion and justice—as God intends. "Devour this book and let Terence gently speak to you from his soul. He will help you to see poverty differently. He won't let you stay in despair but will lead you to the promised land of hope where real solutions and love await you." "Terence Lester is a doer! This isn't a book about social theory or what we should do; rather, this is a book about what has been done, is being done, and what is working. He speaks from his heart, a heart with experience in the trenches. Terence has been there. He knows what he is talking about, and he is doing something on a daily basis to address the needs of the most vulnerable in our country. This is a book by a servant leader who is leading a movement that is changing the world for many people. This is a love story. A love story for the most vulnerable and how love calls us to act. Love is an action word, and Terence Lester is living love beyond walls. This is a must-read for anyone in ministry or who says they love the world that God died for." 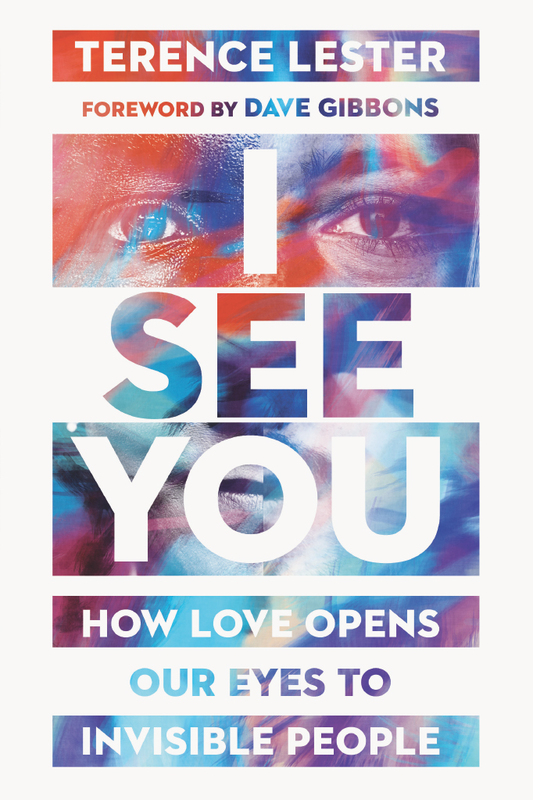 "Terence Lester's writing in I See You is clearly inspired by life-changing experiences and Scripture. Each chapter seamlessly moves the reader from just receiving information to accepting an open invitation to become the hands and feet of our God and see the most vulnerable in our world. This book illuminates with such compassion what we already know—that suffering is not an isolated event that happens to 'them over there.' Suffering belongs to us as much as any other life experience. Each word I've read has changed me and challenged me. I pray you will allow I See You to do the same for you." "In I See You, Terence Lester calls us back to the heart of our humanity and reminds readers that this heart was designed to beat for God and for neighbor. Lester has followed the Spirit into abandoned buildings, under highway bridges, and into homeless shelters to find community among forgotten and abandoned populations. His stirring narratives and powerful commentary reveal that homelessness is a symptom and a symbol of a nation entangled in greed, gentrification, arrogance, racism, and a sheer lack of consideration for all of its citizens. In a fashion that invokes the prophetic fire of Martin Luther King Jr. and the compassionate solidarity of Jesus Christ, Lester centralizes love as the key factor to dismantling evil and creating a more equal world." "I See You is bursting with spirit and challenge. In clear and vulnerable prose, Terence truly shares his heart with us about the urgent call to love those who are impoverished. Privilege has a way of blinding us to the realities faced by those society has made invisible, and in true incarnational fashion, Terence takes us with him on a journey to uncover the true experiences of our most vulnerable neighbors. I pray folks will approach this book with a heart open to the call of Christ to love our neighbors as ourselves and with eyes open to see others for the divine image they inherently bear." "This is one of the realest books I've ever read. Honest, heroic, and humbling, I See You affirms we are still not where we could be in providing dignity, which is intrinsic to every person, and gives keen insight into how we are to respond to this truth. We aren't without hope, but in achieving this reality we must do our part to love our neighbor as our selves. Buy it, read it, tweet about it, and then read it again. Only after we digest real truth such as this, can we truly began to love those whom the world has chosen to ignore." "Terence Lester takes readers on an empathic and personal journey that requires all of us to evaluate how we see others. His willingness to step out of his comfort zone to endure the elements people are encountering daily is exemplary. Our homeless brothers and sisters are fighting for their lives, and this book requires readers to analyze if we will fight alongside them. I am confident that this book will bring the mind shift that is needed to turn apathy into empathy. Terence is not just telling stories; he is speaking life—one that he has experienced enough to champion." "Terence Lester hits a grand slam with his first book spotlighting the dire plight of our nation's poor. I See You is a riveting, robust, and revealing read by this dynamic young activist. Lester's concern and commitment 'to the least of these' echoes Dr. Martin Luther King Jr. with his personal and purposeful Poor People's Campaign." "Terence Lester uses his own humbling experiences and relationships to put faces and names to the challenges of homelessness and calls for accountability to overcome fear of the unknown. Readers are provoked to see the value that God has given to every person based solely on his image in which they've been created. I See You shines a light on the effect we can have collectively on poverty when we take action and reject fear of the unknown. This book is for those who are ready to boldly love those that society has taught us to fear." "Terence Lester's I See You is far more than an informative text on people experiencing homelessness. He aims and succeeds at humanizing people's experiences, and the featured narratives amplify a wide variety of human experiences. All the while, Lester encourages the reader to examine their biases and prejudices when it comes to people living in poverty and provides actionable steps and insights to change our way of thinking and support those in need." "If you want the world to be better, we need the voices of the people making things better to be heard. Terence Lester is that voice that needs to be heard. This book will shake you and cause you to be different for the better." "If we are properly instructed and willing to take our blinders off, we can truly eradicate poverty and its debilitating effects on humanity. Terence Lester makes it impossible for the reader to remain on the sidelines in this fight. He passionately gives a face and a voice to those who have been lost in the margins of our selfish and material pursuits. I See You is more than an epiphany, it's a call to action we all must heed!" "In this powerful testimony of the harsh realities of systemic poverty and homelessness, Terence Lester challenges us to care for the loose threads in the fabric of humanity as a way to heal the collective. Sharing his personal experiences, Lester walks us through the modern-day, informal caste system that has created a wide breach where hard-working families find themselves trapped despite working multiple jobs. Reading I See You made me feel connected to our brothers and sisters experiencing homelessness and encouraged me to do what I can to end the cycle of poverty." "As a person who has all the unfair privilege this world has to offer—I'm a white, straight, Christian man—I wish I had read Terence Lester's book I See You twenty years earlier. His unique ability to share the experiences of the most vulnerable among us through powerful narrative storytelling will grab the reader and pour into their hearts. The world needs more leaders like Terence Lester, and this book is a powerful example of how he will continue to change the world for the better." "With compassion and insight, Terence Lester leads us on a journey designed to free us from our fears and illuminate the simple but profound truth that the poor, the unhoused, are ultimately no different from anyone else. He reminds us that homeless is a set of circumstances, not an individual, and that we must jettison the stereotypes that shape our biases and embrace people experiencing homelessness for what they truly are: our neighbors—fellow human beings—who want to be safe, to be seen and respected, and to have opportunity. To read I See You is to be gently reminded that fear is the great divider. It keeps us from love, from seeing and opening our hearts. Terence's life and words reflect the powerful truth that we are woven together in the fabric of life and that every thread is precious." "One of the conditions of truth is to allow the suffering to speak, which is why this book is the real talk, straight-no-chaser truth. Using personal narrative, theological conviction, and social analysis, Terence beautifully describes the misery that so many of our sisters and brothers in poverty face. After reading this book many will be inspired to live a more compassionate life rooted in faith, action, and love and will answer the call of the Spirit to do something to help heal our broken world. In this time of rampant social inequality and indifference to the plight of the poor, this book will comfort the afflicted and afflict the comfortable. But most of all it will invite us on a journey that will leave us saying, 'I see you.'" "When the Bible describes transformation, one of the central motifs is that of moving from blindness to sight. In I See You, Terence Lester serves as a spiritual guide of sorts, helping us to see critical arenas of life that are otherwise so easy to miss. Go on this journey with Terence—you will not be disappointed." "There are many men who talk about creating change, but there are few who actually do it. For years, Terence Lester has been putting in work on the ground. I'm excited we have another resource like I See You from him that's rooted in true on-the-ground research." "I loved reading I See You. Lester's voice shines through. He brings the reader on an amazing life journey to love those you encounter. For many years, I have admired his decision to live on the streets for some time and to be with the people who spend their days and nights dealing with the challenges of poverty. Lester helped me to understand more and to empathize more. He helped me to know a bit more about the stories of these wonderful people and friends. I particularly loved how he contrasted the emotions and feelings of fear versus love. 'There is a vast difference though between living with the fears that keep us safe and letting our fears control us and the actions we take, especially when it comes to the way we treat other people—like crossing the street when we see someone dressed differently.' This chapter was powerful for me and made me reflect on some of my own unfounded fears. Thank you!" "With his remarkable gift of riveting storytelling, Terence Lester opens the eyes of our hearts, allowing us to see fellow image bearers of God who are often invisible and marginalized in our broken world. With skillful artistry, Lester paints a compassionate and compelling picture of the heart, hands, and feet of true neighborly love. I See You will not only open your eyes to the poor and the homeless but paradoxically you will also see your life in a new way." "Terence Lester challenges us to turn good intentions into action. I See You is a challenging, inspiring, and empowering book! With hard truths, a humble posture, and insights learned the hard way, Lester debunks the myths we have about poverty and homelessness and introduces us to the real people behind the statistics." "Howard Thurman said it is a 'strange freedom' to be seen and called by our name. Terence Lester invites us into this divine freedom in his challenging and inspiring book I See You. In his encouragement to us, we are reminded how each one matters and how love makes all the difference." 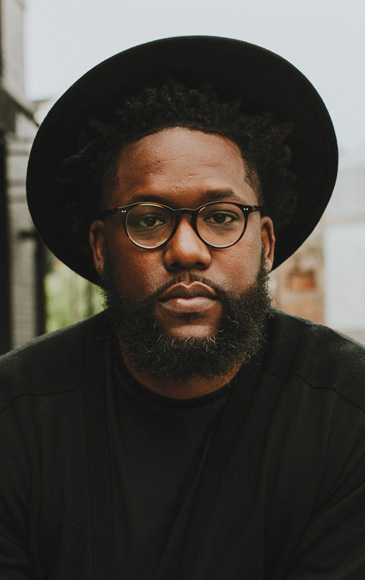 Terence Lester is a minister, speaker, community activist, author, and founder of Love Beyond Walls, a not-for-profit organization focused on poverty awareness and community mobilization. His campaigns on behalf of the poor have been featured in USA Today and Black Enterprise, and on NBC and Upworthy, and have been viewed by millions of people globally. Terence has delivered countless sermons and speeches at conferences, churches, and schools, and has been featured in publications around the country. He has served on the ministry staffs of Word of Faith in Austell, Georgia, New Life Presbyterian Church in College Park, Georgia, and is a communicator at West Ridge Church. He has authored five books, including Getting Past Stuck, Simple Prayers for Hurting People, and Identity Theft: Defending Who You Are. He has also coproduced a biographical documentary based on his book The U-Turn Project: Answering the Call. Terence has also received numerous awards for his community activism including the Empire Board of Realtists Distinguished Service Award (2017), SCLC Social Advocacy Award (2016), Atlanta Voice's 50 under 50 honor (2016), the True to Atlanta Award presented by the Atlanta Hawks (2016), and the Fulton County Schools Service Award (2015). He and his wife, Cecilia, and their family live in Atlanta.